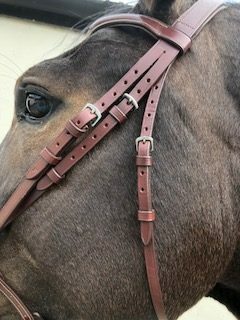 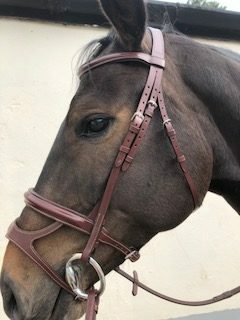 Duvaclo Double Noseband Bridle is great for strong pulling horses. 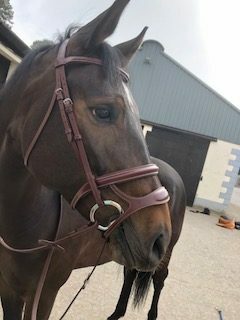 Features Double Noseband which combines the effects of a cavesson and a drop noseband. 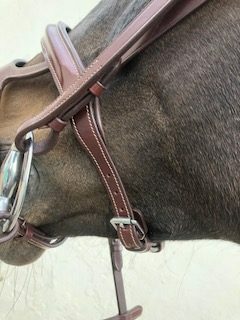 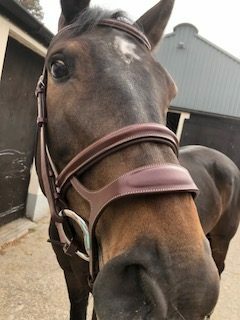 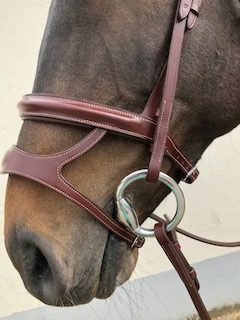 It controls the opening of the horses mouth and thanks to the lateral straps that join the two parts of the noseband, it limits the shifting and crossing of the jaws. 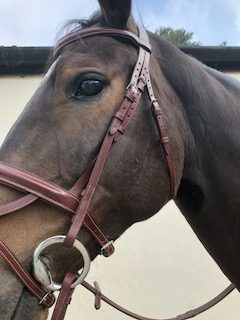 The two parts of the noseband are adjustable independently, meaning you can alter the effect of the noseband depending on your horse. 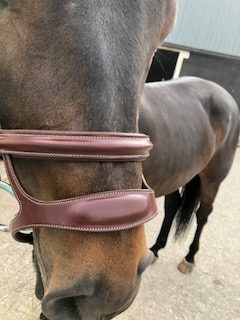 The positioning of the drop noseband prevents pinching in the corners of the mouth. 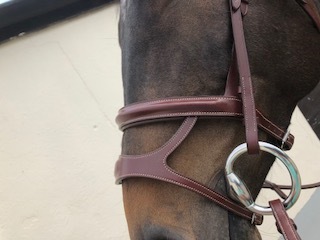 This bridle is permitted under FEI rules for Show Jumping and Cross Country but NOT for Dressage.